In the 250 ha Roosu Farm, located in the South-Eastern edge of the Upland of Otepää, you can be in a nature-friendly environment and participate in producing ecologically pure agricultural products. Variable landscape, maintained fields, forests and marshes rich in different species of flora. Nearby good conditions for skiing and sleighing. Suitable for family holidays. We offer also canoe camps. 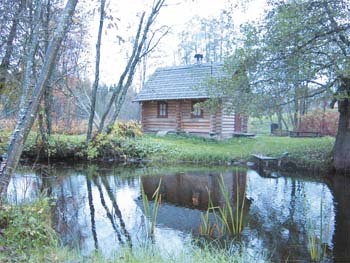 Additional facilities and services: breakfast, catering (on pre-booking), shop, possibility to use kitchen facilities, log sauna on an island, playground, ball courts, village swing, camping tracks, nature camps, adventure games, rent of bicycles, canoes, rubber boas, etc. Getting acquainted with domestic animals and farm works, working on looms and knitting-machine, handicraft.